How did the northwest metro area fare in the recent legislative session? 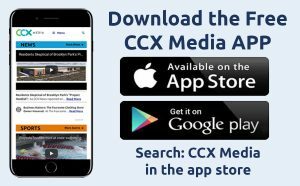 CCX News is posing that question to local lawmakers including DFL Representative Lyndon Carlson of Crystal. Carlson cites funding for the New Hope Pool and the DeCola Ponds as two local gains. Carlson says money currently in the bonding bill to improve the drainage and holding capacity of the DeCola Ponds should correct a long-term flooding problem. Other items in the bonding bill which Carlson is pleased about include $2 million in funding for the New Hope Pool. The money would be used to help the city offset the cost of building a new 50-meter pool, which is considered an asset for competitive swim teams in the region. Also currently in the bonding bill: $1.5 million for North Hennepin Community College. It’s money to be used for building repairs and infrastructure upgrades. Governor Dayton has not yet acted on the bonding bill. Carlson said he would like to see tax conformity addressed soon. However, he supports Governor Dayton’s veto of the tax bill. Coming up Wednesday on CCX News, Republican House Majority Leader Joyce Peppin of Rogers offers her assessment of the session.